You can see how passionate we are about supporting this cause and trying to solve this epidemic. Below are some ways you can get in involved and help support our cause. Making a donation on our GoFundMe page is a way to support our cause. Please visit our page and see how you can help. Click here to view our GofundMe page. 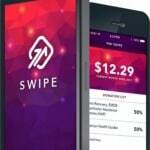 Use the Swipe app to send us our spare change on purchases you make. This is an easy way to help support the cause. You'll feel good every time you make a purchasing knowing the change is helping support research to this epademic. Click here to view our Swipe page for more information. Our three-week certification course includes One real-time webinar, Access to ample information on the science of happiness, Take home exercises, Interactive online forum, final webinar presentation, signed and sealed certification of completion. The pursuit of Happiness also does a lecture series if your company or organization is interested. Google realized how beneficial this could be and selected us to come and worth with there team. For more information please email behappy@pursuit-of-happiness.org for more details.